'Oldest Intact Shipwreck Known To Mankind' Found In Depths Of Black Sea The vessel dates back 2,400 years to the days of ancient Greece. "This will change our understanding of shipbuilding and seafaring in the ancient world," says archaeologist Jon Adams. 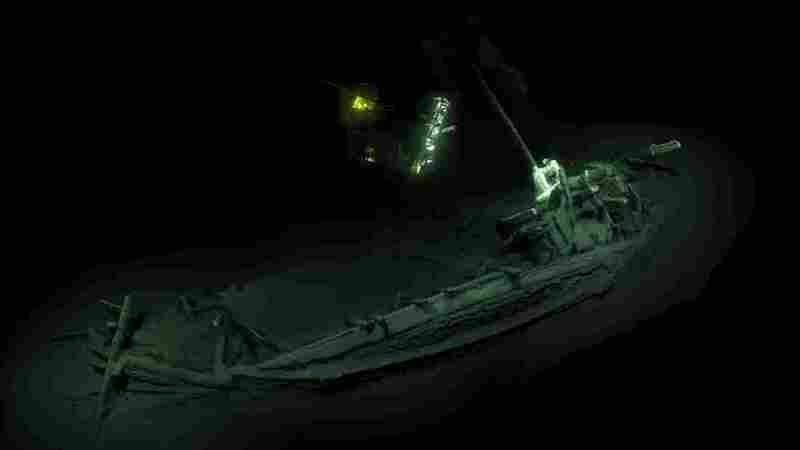 The Black Sea Maritime Archaeology Project says the intact shipwreck was discovered at a depth of more than 1 mile, where the scarcity of oxygen helped preserve the ancient vessel. Since then, it has sat at a depth that more than doubles the height of the tallest skyscraper in the world. In water that deep, oxygen is hard to come by, and because of that, so too are the organic processes that help drive decomposition. That left the ship all but undisturbed until the research team discovered it — along with dozens of other shipwrecks — during an 800-square-mile survey of the seabed. "A ship, surviving intact, from the Classical world, lying in over 2km of water, is something I would never have believed possible," Jon Adams, an archaeology professor at the University of Southampton and the group's principal investigator, said in a statement released Tuesday. "This will change our understanding of shipbuilding and seafaring in the ancient world." For one example of the ship's value, the team pointed to a very different kind of vessel — pottery. The group says ships of the design they found last year had previously only been found in artwork such as the Siren Vase, an artifact dated several decades earlier than the ship. 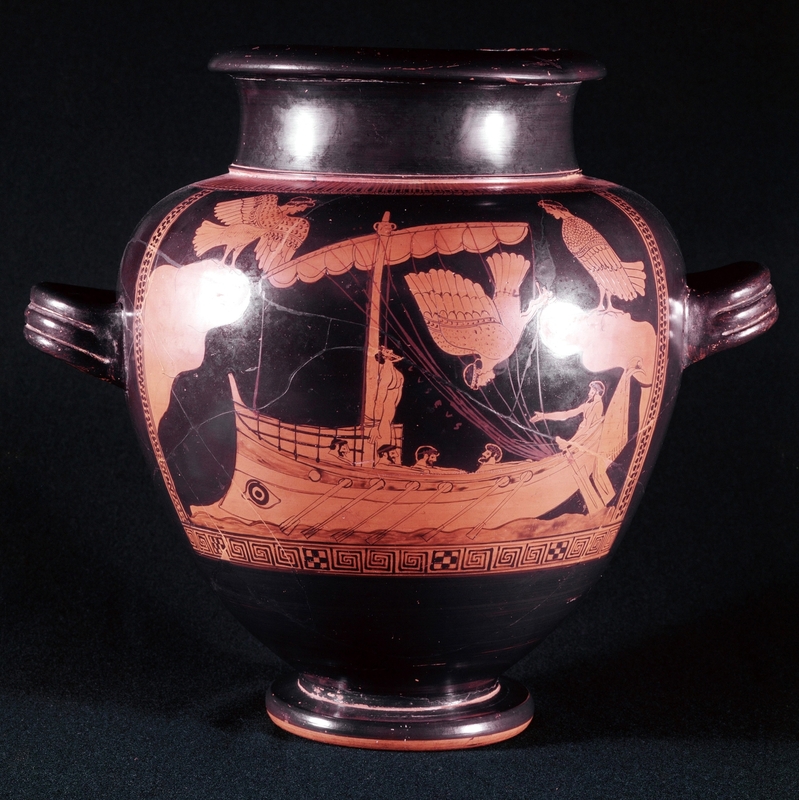 The recently discovered shipwreck reveals details that are similar to the ship on this famed ancient Greek vase, which dates to the fifth century B.C. and depicts Odysseus tied to the mast to brave the sirens. The vase depicts a scene from The Odyssey, in which Odysseus is strapped to the mast as he passes the deadly sirens. Now, according to MAP, they know it also depicts a representation of real trading vessels used around the same era as their find. "It's like another world," Helen Farr, a member of the expedition, told the BBC. "It's when the ROV [remote operated vehicle] drops down through the water column and you see this ship appear in the light at the bottom so perfectly preserved it feels like you step back in time." But ancient Greece is not the only bygone era to reveal itself beneath the waves. In three years of probing the Black Sea, the group says it has discovered more than 60 sunken ships — from ancient boats like the one announced Tuesday to ships of a more modern variety. That includes a 17th-century raiding fleet launched by the Cossacks, a people who had by that time settled north of the Black Sea, near the border of modern Russia and Ukraine. The team is releasing a documentary on its findings Tuesday at the British Museum, offering a glimpse into what archaeologist Fredrik Hiebert called "an incredibly rich museum of human history." "This wreck shows the unprecedented potential for preservation in the Black Sea, which has been a critical crossroads of world cultures for thousands of years," he told National Geographic. "It's an incredible find."